Toshiba Business Systems commemorated their customer appreciation boat cruise with the help of AdArmyGroup. AdArmyGroup is a really great business that offers great marketing strategies and gives other businesses a clear way to generate more revenue by attracting more customers. They will help design websites for businesses that might need the service. The people who work at AdArmyGroup are dedicated to quality and ease of use for their clients. Many of their clients want something simple to navigate and generally have to be able to upload content at a moments notice. AdArmyGroup is also capable of using video production for clients. Video production reaches a wider range of people. Most people are already used to reading and seeing images on websites. Video production allows them to see a different side of businesses. They can gain a more interesting understanding of what products are offered. Video production also allows web users to get to know the people behind the website. It helps to create a more personal relationship as opposed to merely looking at the screen and taking things at face value. The process that AdArmyGroup uses is simple. They will assign a marketing consultant to their client. The marketing consultant will then look at the current business model, find the best way to promote these products, and create a website off of the client's specifications. Websites are generally created with the owner's preferences in mind. They usually utilize search engine optimization and paid advertising through affiliates. AdArmyGroup includes video production to this list of tools. The marketing consultant is also able to advise businesses on how to promote their products through offline marketing. However, much of the work is done online. AdArmyGroup has worked on a dealer called Business Systems. They market and sell Toshiba products to people world wide. The goal of AdArmyGroup was to create an eye-catching presentation for visitors to see. They utilized smart advertising and video production to create the website. They understood that people know what kinds of websites they will spend their time on. If a website doesn't look good, they won't stay for very long. Usually if they are unsatisfied with the look of a site, they will leave immediately, never to return again. 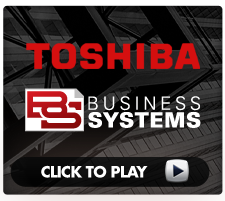 The Toshiba dealer Business Systems needed a website that drew attention, and easily led customers to take action into buying their product. AdArmyGroup used images and text to create a website that pops out to visitors. When looking at the site initially, visitors know exactly what products are available to them. Business Systems sells copiers, faxes, scanners, and printers. The top banner clearly proclaims that they are an authorized dealer of Toshiba products, and helps authenticate the site to viewers. The marketing consultant also wanted to make sure that the site looked clean. Visitors don't like to view websites that are so full and cluttered with irrelevant content. They want to be able to know what they're getting, and be able to get what they want without any hassle. Video production allowed viewers to watch the product offers and get to know the business better. The marketing consultant was able to give the web page a great aesthetic feel, and make it easier for users to find the data they were looking for. AdArmyGroup's team then wanted to make sure that it was easy to create the sale. Business websites are meant to generate revenue for the business that it represents. In order to do so, they created a product listing option. This is can be viewed at the top of the page. The Products button leads to a drop down menu of several products that Business Systems offers. In order to gain the trust of customers, there is a button called Meet The Team. This allows visitors of the site to see biographical information of the people behind the website. Pictures are used to connect name to face and give the website a more presonal touch. People have an easier time relating to other people, and it helps to know how those people look like. Text alone can only do so much, and does not guarantee that a visitor will immediately trust the business they are browsing through. The website also offers a video production showcasing highlights from the 2012 Toshiba Boat Cruise. This was a very smart strategy by the marketing consultant. It shows a more personable side to the business. AdArmyGroup's marketing consultant expert is Paul Cookson. He is able to look at an existing site and know exactly what needs to be done. Be sure to call him today!